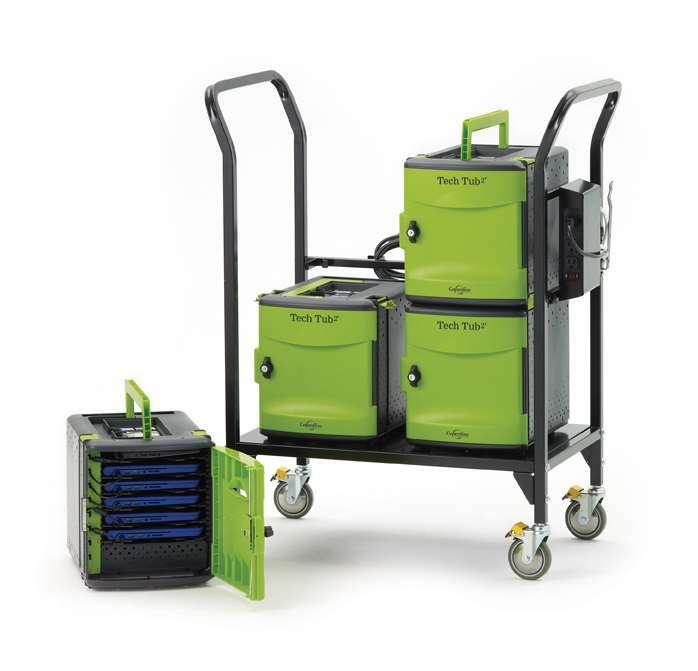 The new Tech Tub2® Modular Cart offers an affordable, flexible and mobile solution for charging and storing devices used in PreK-8 classrooms. 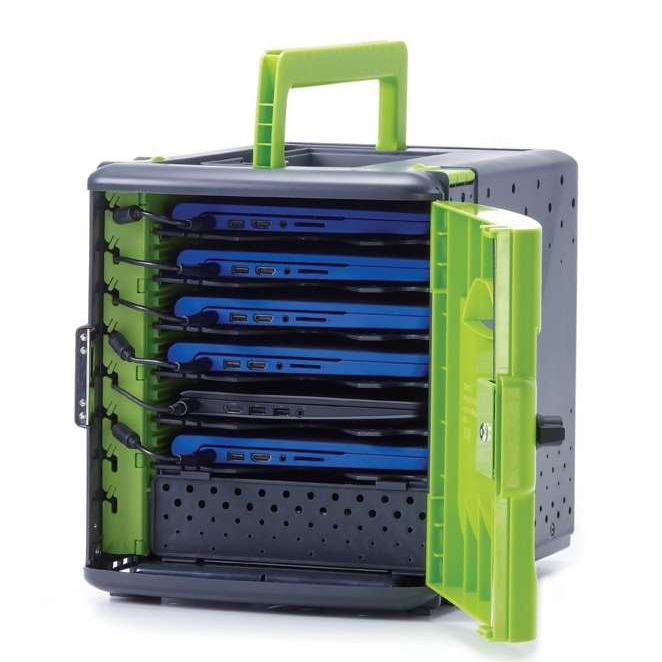 The sturdy cart holds 24 iPads® Chromebooks™ or a combination of both. Two handles aid mobility and the modular break apart system allows Tech Tubs® to be shared within a classroom to reduce deployment bottlenecks or throughout a school and signed out from a central location. The cart requires just one outlet to charge all 24 devices with the included power timer. The new Tech Tub2® offers an affordable, flexible and mobile solution for charging and storing devices used in PreK-8 classrooms. Our Premium Tech Tubs hold 6 iPads®, Chromebooks™ or a combination of both. Store, charge and carry your devices anywhere in the school with ease.